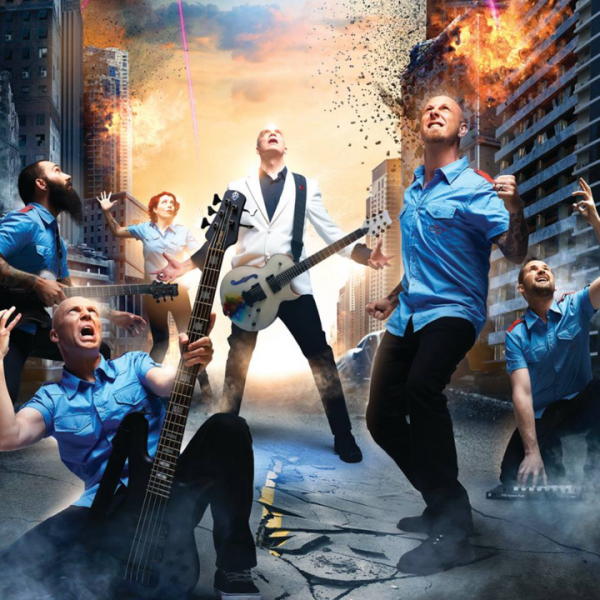 DEVIN TOWNSEND CONFIRMS IRISH DATES IN DUBLIN AND BELFAST FOR DECEMBER. 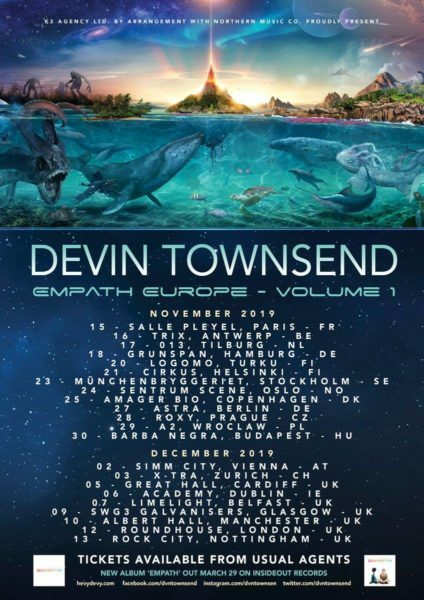 The news comes in light of Townsend announcing details of his new album ‘Empath’ which his due for release on March 29th. He’s been working on the record for the last 18 months and it’s now set to arrive on March 29 via Inside Out Music on CD, 2LP/CD, on digital and streaming platforms and as a limited edition 2CD, which will feature bonus material. Townsend says: “This record has taken me down a lot of very interesting psychological and technical avenues and the process was documented from the very get-go by a series of documentary videos that outline everything from the gestation of the idea to the actualisation of it, through all the existential ups and downs that went on. “As such, this record is different to any record that I have released thus far, and trying to get people on board for what it is versus what it isn’t, I think needs to be dealt with in a different way. 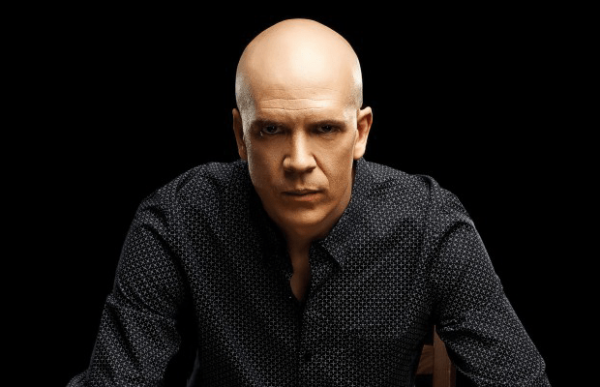 Townsend is joined on Empath by artists including Steve Vai, Chad Kroeger, Anneke Van Giersbergen, Morgan Ågren, Anup Sastry, Samus Paulicelli, Nathan Navarro, Elliot Desagnes, Ché Aimee Dorval, Ryan Dhale and the Elektra Women’s Choir. Find further details below and official Dublin event link here. Tickets for Dublin are €32 (inc. booking fee) on sale Friday, February 1st at 10 am from Ticketmaster outlets nationwide and online.